The Mayweather is the exception to hulking sectional sofas. 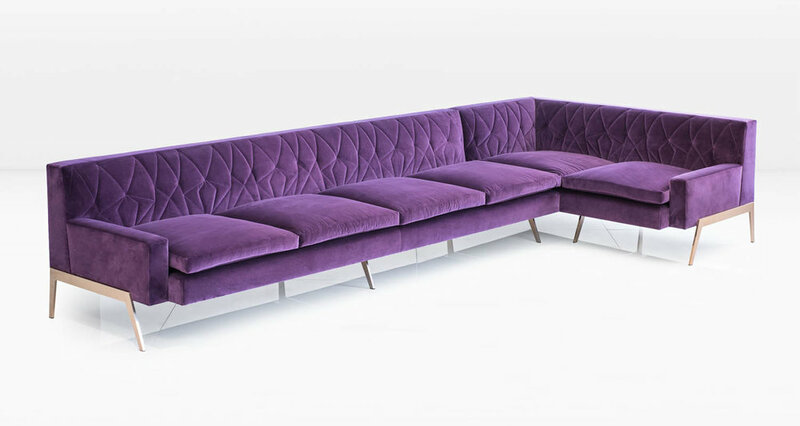 The abstract geometric tufting on the back is juxtaposed with the loose seat cushions, which are surrounded by down for ultimate comfort. The ½” thick metal legs have burnished faces and polished edges. 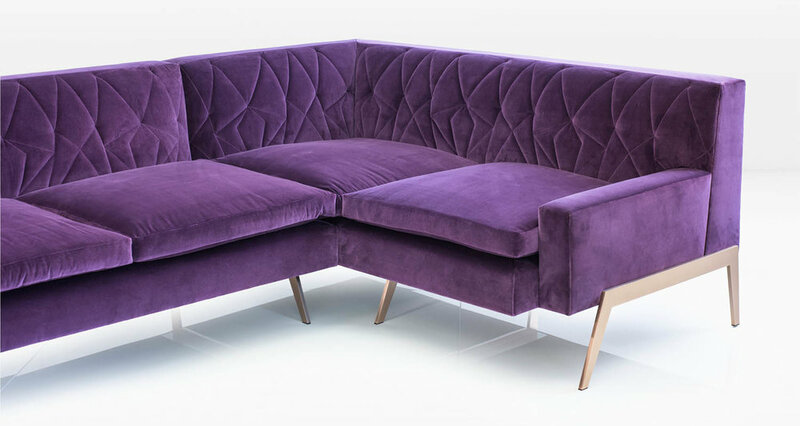 Silicon Bronze legs and Eggplant Cotton Velvet fabric. Legs are also available in Nickel.